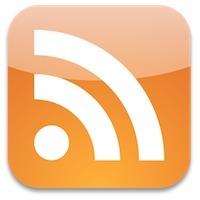 You might be aware by now that Google announced they are shutting down Google Reader, the longtime RSS reading favorite. Google Reader will be put to rest on July 1 of this year, and chances are good that will impact at least some of you reading this. We know that over 15,000 of you use Google Reader alone every day to read OSXDaily’s RSS feed, that’s about 1/4 of our RSS subscribers, so we’re going to offer some suggestions for alternative RSS readers. We’ll focus on desktop RSS clients for Mac OS X, mobile RSS readers for iPad and iPhone, and a few web options, in addition to covering a few others ways to follow OSXDaily and your other favorite sites too. Be aware that many RSS readers sync with Google Reader, that syncing feature will be dead along with Google Reader itself, so that that is exactly what you’ll want to avoid moving forward. Take the time to export your RSS feeds from Reader before it’s culled, and don’t rely on the Reader syncing feature, or else you’ll be left with nothing to read. Vienna – Free – Vienna is an excellent RSS reader for Mac users, and for most people either Vienna or NetNewsWire will be their best bets on the Mac side of things. Free, super easy to subscribe to new feeds, a very familiar interface, Vienna is all around a winning choice for following and managing RSS subscriptions. This is now our top choice for the Mac. NetNewsWire – Free with ad support, paid with no ads – NetNewsWire is a great ad-supported free app that also has a paid version, a while back we called it the best RSS reader but many of our readers felt that Vienna was better. They’re both great, and it’s probably worth checking out both and seeing which works best for you. Feedly – Free – Feedly has a free iOS app, Anddroid app, and web version, that makes it simple to subscribe to RSS feeds. Browsing is a bit different than what you’ve become accustomed to with Google Reader though, as things are tossed into a grid layout. That grid can make it harder to skim article headlines, but once you get over the interface differences it’s actually quite nice. It’s worth checking out. Reeder – $5 – We’ll focus on the full-sized iPad version, but Reeder also has a Mac and iPhone version. Reeder has a nice interface that makes it simple to scan through feeds, manage your subscriptions, and everything syncs easily between the various versions if you’re into that. If you don’t mind shelling out a couple bucks, Reeder is one of the better choices and has a more familiar interface. NewsBlur – Free, $1/month for more features – NewsBlur has a clunky interface that initially just throws an iFrame around an existing webpage, but it does let you gather RSS feeds and read through large groups of them. Once you get used to the interface it’s actually pretty good, so it’s worth a look. Feedly – free – Feedly for the web works as a Chrome browser extension, it’ll pull in RSS feeds and then throw them into a grid layout that looks nice, but it’s admittedly difficult to scan through large blocks of headlines. Nonetheless, it’s free, and reading with it is fairly nice. Email Subscriptions – Why not get RSS feeds in your email inbox? We offer a daily email subscription that contains the posts directly from our site to your inbox. No spam, no garbage, just content that you’d read on the web or in an RSS reader anyway. Follow us on Twitter – Nearly every website publishes their feeds to Twitter these days, and we’re no exception. OSXDaily is there, and if you follow the right accounts, Twitter can function similarly to a headline only RSS reader. Twitter feeds can quickly become overly cluttered for info overload though, so it’s all about limiting the amount of accounts you follow to things you’re actually interested in seeing updates from. Follow us on Facebook – Liking and Following your favorite sites on Facebook is another alternative, though you may miss out on some updates because items are going to be mixed in with your friends posts too. But if you’re always on Facebook anyway, it’s a great way to keep in touch. Follow us on Google+ – It’s very easy to follow people and publications on Google+, and a lot of publications republish their RSS feeds to GooglePlus. It’s certainly an option worth considering, though with Google’s regular spring cleaning efforts you never know if it’ll be around for the long haul or not. Are we missing anything worthwhile? Let us know in the comments! How about ADN? App.net has free entry level accounts for invitees, is $5/mo, and more publishers are showing up on there. It’s a bit of an echochamber but if you ignore the riffraff it’s a lot like Twitter, without as much of the noise. I use google reader on mobile phone and star what I like then check it out later on google reader web. Can Vienna do something like that? Any of these reader apps/platforms that currently depend upon logging into Google Reader (GR) and using the GR API for synching RSS feed URLs and retaining article read status will similarly be dead when GR goes away. This is why folks like Feedly, The Old Reader and now apparently Digg, are looking to not only develop RSS reading apps, but server/API backends. for cross device synching of feeds. One needs to be careful in replacing GR, to select an app that can accept and store RSS feed URLs independent of logging into GR and has the ability to refresh feeds and mark feeds as read, so that you don’t see them again once read (one of the biggest weaknesses of magazine style apps). That will either need to be done via a backend server with an account login or via a local cache of sorts (eg. iCloud on iOS?) on your computer or mobile device. My favorite iOS app for the iPad has been Mr. Reader. However, it will go away with GR, unless the Dev makes some decisions as to moving away from being dependent upon GR’s API for feed URLs and read status. There are logical business decisions that have to be made of course and I respect whatever he does. I am testing out Feedly at the moment, since it works with Chrome on OSX and on my iOS devices. Given the general reaction in the past 24 hours, there will be other options to explore as well, which is good. It is a recognition that RSS is far from dead. Reeder currently requires google’s reader to work. How to migrate RSS boxes from Apple Mail 4.6 (mac os x 10.6) to Vienna ? While Reeder hasn’t issued a detailed statement on their future plans, you should know that as of now the Reeder app relies on a Google Reader account for its RSS list. Pulp for iPad & Pulp for Mac. Pulp was acquired by Facebook and is largely considered abandonware, but it’s a great app if that wasn’t the case! I may be old and decrepit, but why can’t one just use plain old web pages, bookmarks and browsers? I may be old and decrepit, but why can’t one just use plain old paper, red marker and folders? Feedly rocks, been using it instead of GR for a couple of years. Its views are customizable, one is not limited to grids w/ images. I’ve always preferred simple lists for quick scanning, in GR and Feedly. I wish Apple would return RSS feed capability in their Safari web browser. Mr Reader for iOS is an excellent RSS reader and has it over most others in that it has support for URL schemes for interapp working. I agree with Feedly. Good iOS app! Mozilla Thunderbird is the best ever RSS Reader for my desktop… I have my inbox with all my regular email and I have my NEWS with all the headlines for the news feeds to which I subscribe. I click on the headline and the story opens in the message pane of Thunderbird. There’s no need to open separate applications for each and every thing. Mail: replace 300 feeds=unbearable spam. Twitter: maybe, but its remaining charm is in following individuals. Flood it with anything else and those voices would be dampened. G+: #nymwars . I won’t give Google the pleasure of violate my privacy at will after retiring a useful service. At least they should earn their crust. I use Firefox Live Bookmarks. Don’t care for anything else when I already have my web browser open. Great to see some Vienna love! I stuck with it for 6 years, despite a couple of years of apparent non-development. It’s simple, stable and easy to navigate. I think when the dust settles and Google Reader is nothing but a memory…Feedly will emerge the winner. I don’t think this is merely a personal opinion…I think Feedly is the one to beat when it comes to news apps. I have installed Feedly on Safari, iPhone and iPad and I couldn’t be happier. It is just so configurable where the other apps want me to read the news how “they” want. Feedly is worth a try…and it will likely win you over. what about Pulp? I like how Pulp looks more like the morning news paper, you can adjust how many article in the feed, and make feeds look more like headlines. NewsBar is a very nice native RSS reader for Mac. I tried pretty much all of the above, and my pick is one no one thus far has mentioned: RssOWL. It runs on the desktop. It’s very robust. It’s free! The layout is both simple and customizable.